There are around 1.2 billion websites worldwide. Yours is one of them. But being one in 1.2 billion doesn’t mean you’ll escape the attention of cybercriminals and hackers. Put it another way: your website is competing with others to stand out, to get your business noticed. But what if the wrong people are noticing you, making you vulnerable to cyber attacks and viruses? At the recent Conservative Party Conference, the UK’s Culture Secretary outlined new online safety measure proposals. These include a code of conduct for social media companies to reduce the potential for trolling and online abuse. And they haven’t been the only ones talking about this issue recently; we also found this great infographic by Sainsbury’s Bank, created to celebrate Cyber Security Awareness Month, which provides a useful resource to help internet shoppers stay up-to-date on the best online shopping practices. It’s tips on website and mobile safety are concisely presented and updated regularly to reflect the most recent advancements in online security. The full guide can be read here; https://www.sainsburysbank.co.uk/money-matters/shopping-safely-online. This is only one aspect, though. Developing people’s online safety skills will help, but businesses must take certain, basic measures to protect themselves. Cyber attacks and viruses are not something that only happen to other people – there are plenty of common security risks out there, which can make any website vulnerable. And if your website is a big part of your business, then this is something you really need to be paying attention to. Cyber attacks are not always obviously disruptive. They can begin with more subtle intelligence gathering through exploiting weaknesses in your online defences. Often, hackers look first to gain a foothold, through phishing or extracting small amounts of data, but they can then soon spread throughout your IT resources. 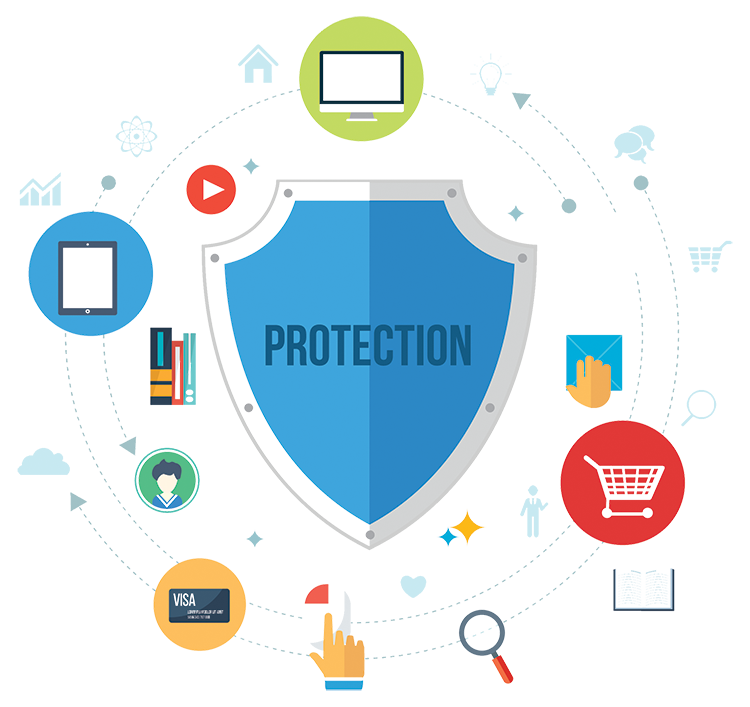 As specialist providers of IT support and services in Burnley and Lancashire, we know that online security must be a priority, whatever size of kind of business you have. And so, as October is Cyber Security Awareness Month, in this week’s blog we’re going to look at issues around online security, and what measures you should be taking to keep your business safe. Obviously, you don’t want to tell us, but did you know that most hacks depend on poor passwords? Don’t be deceived into thinking hacks are always complex, involving getting past layers of cybersecurity using highly skilled tactics. In fact, they can come from simple phishing emails or if your password is leaked. Like many criminals both cyber and physical, hackers look for opportunities, so it’s important that you don’t inadvertently provide them with one. Firstly, get a strong password. Not “password”, which is still, amazingly, highly popular, along with “123456”. More than 50% of people use the top 25 most common passwords. You can often, for example, use spaces in passwords. You must look for a password that is unique, and that you can keep track of. You can test out the strength of your password here; and there are password managers such as LastPass to help you generate and manage passwords. Remember, educating yourself about passwords must also extend to the people you work with, so that all employees in your business are fully up to speed with password security. You can also limit log-in attempts by locking out, and you can also ban specific IP addresses. You’re always looking to deter attackers, as well as protect your business. Are You Making Phishing Easy? Many cyber-attacks begin first with phishing emails. Hackers constantly send these out, hoping to entice people to install malware or give information about themselves away. There are clear warning signs, however. These are things like incorrect spelling, or poor syntax, or email addresses containing a lot of full stops. Think in terms of the things about yourself you’re already legitimately giving out online, because hackers use this to gain answers to passwords and otherwise hidden information. For example, if you use the town you were born in as a secret question when that information is already there for everyone to see on social media, this is something a hacker could easily discover. Visiting certain websites may leave you exposed, if they are unencrypted. Any web page with http in it is unencrypted, so beware of entering any sensitive information there, such as a credit card number. And, considering encryption, do make sure you encrypt all your hard drives and databases, so if the worst happens and hackers get into your data, you’re still making it hard for them to decipher it. Software updates may sometimes seem like an inconvenience but they’re there for a reason. Typically, developers and companies will discover vulnerabilities in their software because, just as they develop, so do hackers. If they discover a vulnerability, they’ll issue an update, to close this potential security gap. When organisations don’t install patches – updates to bring computer systems up to date – then they risk leaving these gaps open to hackers. By the same token, if they issue an update, you must install it. The most recent update of your software, or your platform, is the most secure one. To help protect your business from cyber-attacks and viruses, install anti-virus and anti-malware software. It’s easy to do, and it will protect you from low level threats to your online security. Scan your anti-virus software regularly, around once a week for any sign of viruses. Ideally, run the anti-virus software at night when no one in your business is using the system. You’ll need to set it to run on a specific night when you don’t turn your computers off. As we mentioned earlier, you must keep your systems up to date, and this includes your anti-virus or anti-malware software. Hackers and other cyber-criminals don’t stand still, so neither must your basic lines of protection against them. Always back up your website. If someone does manage to take it down, you want to be able to get back up and running again as soon as you can. Backing up all your essential data will make this that much easier, and smoother. Think about how you structure your business, including what data-protection controls you have, including policies and procedures. These will help enforce the measures you take for your online security. Much of this comes down to educating your employees to ensure sound user behaviour. Along with our IT support services , and developing and designing websites, we offer practical guidance and assistance in online security. Don’t make the mistake of thinking cybercrime can’t or won’t happen to you, or that your business is somehow under a hacker’s radar. Call us on 01282 506 616, email the team at info@bandicoot.co.uk, or fill in the contact form details on our website, send your message, and we’ll quickly get back to you.